Wondering how to play Live Photos in the Photos app on Mac? Fortunately it’s quite simple, and there’s no use of 3D Touch or any funky tricks necessary. 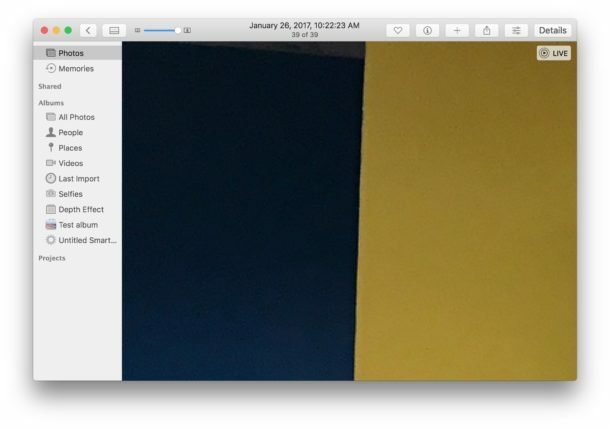 In fact, in some ways it’s actually easier to play a Live Photo picture video in Photos for Mac than it is when viewing Live Photos in Messages for Mac, and you just need to hover over the picture in Photos app to get the Live Photo to play. To get started, be sure you have at least one live photo image in your Photos app library on the Mac. You can take a Live Photo with the iPhone Camera easily and then copy them into Photos on the Mac if you need to. A Live Photo is signified by the little concentric circle and “Live” text in the corner of the picture. That’s all there is to it, nice and easy and it just requires a quick hover of the cursor from a trackpad or mouse. You can re-play a Live Photo in Photos for Mac by just moving the cursor away and back over the picture again too. The Live Photos camera feature is enabled by default on iPhone, so unless it is disabled by you and everyone you share pictures with, it’s likely you’ll get some Live Photos appearing in the Photos app on Mac OS even if you don’t import them yourself. You can check out more Live Photo tips here if you’re interested. This works great, I love playing Live Photos on my Mac. Thanks for how to play the Live Photo on Mac. HWG can’t read I guess but that’s OK because this feature is fantastic. Thanks! It seemed not to work for me either, but after more thorough checking it seems to affect only newer photos. None of the most recent 30+ photos can be viewed as live photos. 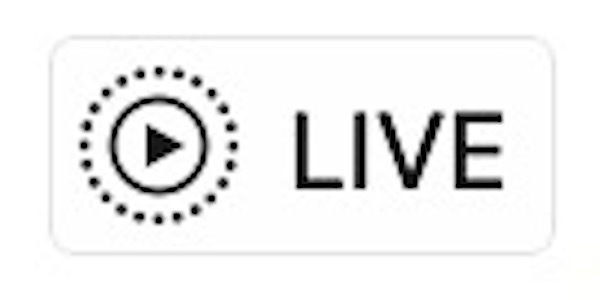 The Live photo logo appears in the upper left (with an animated spinner). I take this to mean that Photos is processing, but it goes on and on and never finishes. Hovering over those photos with the cursor in the thumbnail view does not play the live photo. And sadly, even for the live photos that work, there appears to be no way to select frames of the live photo, as you can in iOS 11. Big problem. So far, no one is saying what I suspect. Unless I update my OS on my mac book pro (currently Yosemite 10.10.5) I cannot get photos 3 so I cannot deal with live photos. I have High Sierra 10.13.6 and it doesn’t work either. I have my iPhone in front of me showing a live photos (moving) and Photos Version 3.0 static – mouse-over of not. No options to enable that I can see. Even tried older photos (3 months) – same result. Is there an update to Photos I missed? It works as described, click the play button to play Live Photos on Mac Photos app. Same in Mojave, Sierra, etc.